Beautiful temples, exceptional landscapes, delicious street food, an intriguing history and lots of motorbikes. Who doesn’t want to go there?! Given the vastness of the country, planning a trip through Vietnam is not always that simple. You have to take into account the long distances and the different climate between the regions. 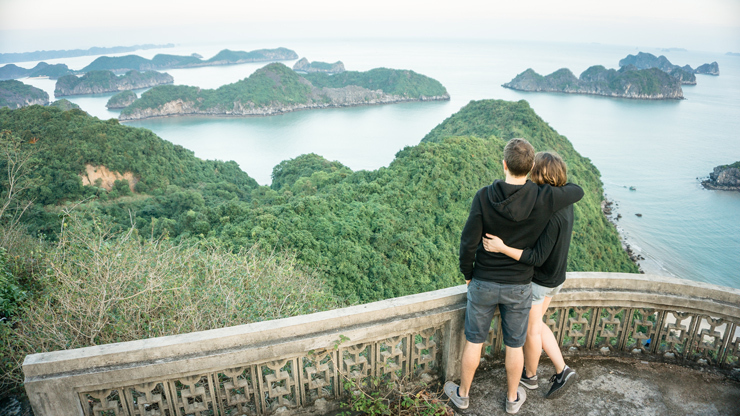 In this post we would like to share the ideal itinerary for a trip of 2 to 3 weeks through Vietnam during our winter months (November – March). We chose to travel from north to south. In this way we could end our unforgettable journey through fascinating Vietnam with a deserved cocktail in the radiant sun!